This post is in no way sponsored but does talk about sponsored cars and how I got here. All thoughts are 100% my own along with the photos. There was once a girl who wrote better than she talked. She was super quiet in person, taking forever to be comfortable with anyone to be herself. Having an awkward social nature and hating it. Because of her nature, she found it hard to find an outside job she could feel comfortable doing. She wondered just how she’d contribute to the household and feel like something worthwhile. This girl is, of course, me. Thankfully writing was in my blood even if I didn’t always do it well. Writing was always how I got to know others and how they got to know me. Before the Internet, I wrote notes to get to know everyone in the school. Making up questionnaires for others to fill out (which I still have stored in my trunk). This was me. This is me. Always has and probably always will be. I learn how to make it work in my best way possible. You know I’ve struggled this year with making a living and getting my creative juices flowing. It’s getting better again, thankfully. But happily, this year has been filled with beautiful cars. Not only just beautiful cars but being able to have a reliable car which able us to fill our life with adventure and just in general errands with no worries. Cars were never a thing for me. They got me from one place to the other but it wasn’t something I looked much at otherwise. Stress did find me though when driving around in a car that was showing issues. It might have run fine but something is off and you have a horrible feeling that something is going to happen when driving it. This is our current car now. We had plans to get a new car this Fall but sadly other things came up and that isn’t going to happen. Still hoping very soon to get a new one but time will tell. It’s been a year and a half since I started Wheel Wednesday. 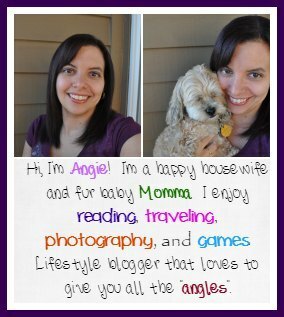 My best blogging side-kick, Rose over at An Exercise in Frugality started the testing out car journey together. As we do many other things, as we are our best supporters and one lands on something and we are like oh ya that would fun. Little did we know we’d get such a quick yes from DriveShop and later this year for Kia itself. 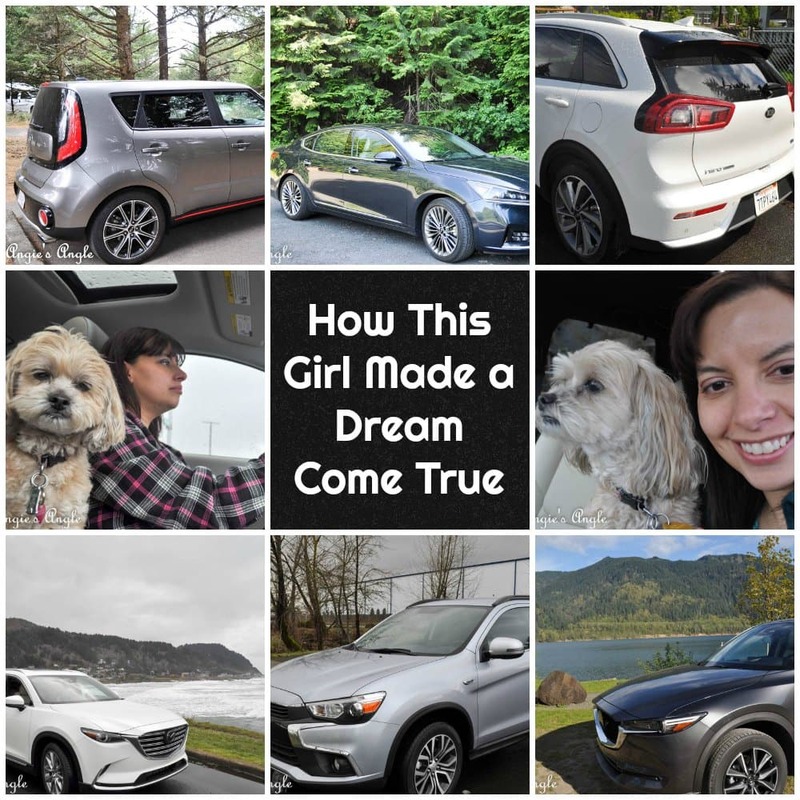 Who knew that car companies would love average bloggers thoughts and insights on their cars? That you didn’t have to have tens of thousands followers and views a month? Panic seized me with the car I was first offered since it wouldn’t work for 3 adults, a dog, and luggage/supplies for a vacation rental on the coast. I thought for sure that I’d never get offered another car again. 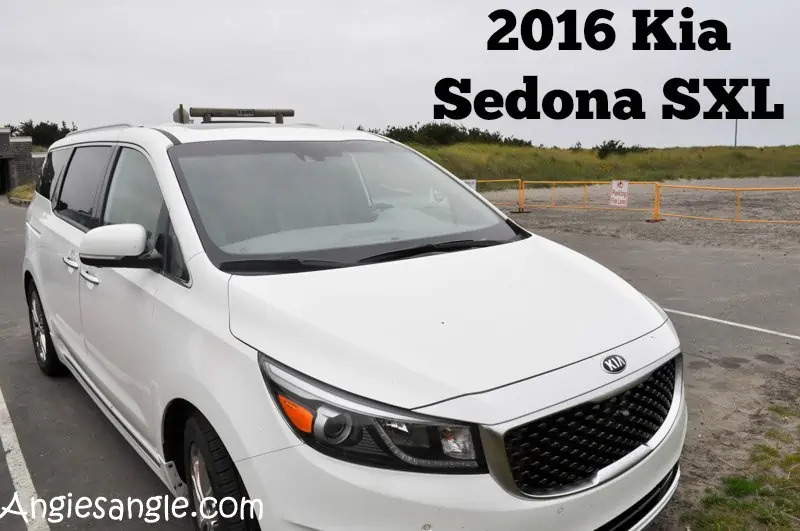 But happily, I did and snagged my very first car review for a 2016 Kia Sedona. From my very first car review, I fell in love. The idea of figuring out all the new gadgets in the car. Looking at the beautiful styling and how good the power was in a vehicle. Being able to test out these cars for a week or more just of owning a blog with social media outreach? Oh, my goodness. Blown away. Each time I get in a new test vehicle, I feel so grateful and blessed to be able to do something like this. Even though I have done this for a long time now, every single time I get in I am grateful. Being able to do so many adventures because of having a reliable car. Blessed. I never knew that testing out cars was so fun and so fulfilling. Am forever grateful to DriveShop & Kia. Being able to have a long-term car so I don’t have to stress myself out when getting in our current vehicle. Just there are no words. Yes, I’ve struggled this year on getting paid income (next year is going to be so much better) but I have had these amazing cars throughout the year. Grateful. So many of the team members over at DriveShop have started to feel like friends. Which is an amazing feeling and again I am grateful for. A dream come true even though I had no idea this was a dream of mine until I started to do it. Now I want to test out all those new cars and get them on the blog for your buying information or just viewing pleasure. I hope you all have enjoyed my Wheels Wednesday as much as I do sharing them.